Yugioh can be a very expensive game. It’s not hard for people to spend hundreds (if not thousands) more than they need to simply by following the herd and feeling like they always need to buy the newest cards to keep up. Most of these tips are timeless and apply to other TCG’s as well. * They’re designed for you to lose. On average, you get ~$2 of value from a $4 pack. * Unless you’re building out every single theme deck from a booster pack, most of the cards won’t be useful to you. * Avoid the temptation of buying loose packs simply because they’re cheap and offer a minute of scratch-off lottery emotion. Booster boxes are a better deal than loose packs, but not ideal either. * Only buy booster boxes of a good booster set. The majority of sets aren’t good. * Shop for discounted boxes online rather than paying the full price. * Try to buy booster boxes within the first 1-2 weeks of a set’s release. After that point, many hyped cards which don’t end up seeing tournament play end up dropping in value. 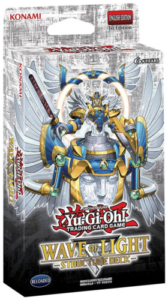 * Structure decks are often a good value for $10 because they often include staples and reprints. * Tins, special editions or any theme boxes that come with booster packs still have all of the same risks as buying loose backs. They are generally not ideal unless they come with a promo card you really want. * Ebay and TCG Player are options. * Get basic practical cards you need such as staples, side deck cards. * You can build a theme deck for less money if you just buy the cards you need rather than opening packs until you get the cards. * It’s not as exciting as gambling, but it’s more effective. * Sometimes there are also ebay lots of completed decks. Of course, you will need to examine whether the price the seller is charging is actually a bargain or not, but in this scenario, you’ll at least know what you’re getting and you can’t lose. * Sell/trade holo’s of a new set (which aren’t particularly great cards) in the first few weeks while the demand is high. * Sell/trade cards as soon as a reprint is announced. * If a deck type starts to become obsolete, sell/trade cards from it before they drop further. * Buying what you need rather than buying random cards and hoarding a big collection means that you’ll have less cards you’ll need to trade/sell off. * Unlike 10 years ago, there are plenty of websites and phone apps that track prices live. When trading at locals or tournaments, you can check prices to make sure you’re getting a fair deal. * Some formats will massively advance power creep and require you to buy a $500 deck just to be competitive for the next 3-6 months. Those that care more about winning events will pay the price but for many people, there’s nothing wrong with taking a break from the game until things get normal. Often, an insanely power creeped format is followed by a more practical format.